GameStop's total sales and profits are down slightly for the second quarter of 2011, but preowned sales are up and digital sales are through the roof. 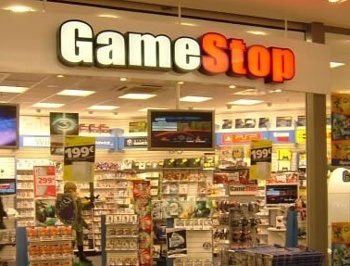 Total sales at GameStop for the second quarter of 2011 were $1.74 billion, a serious truckload of money but still a slip of 3.1 percent from the $1.8 billion in sales over the same quarter in the previous year. Net earnings were also down, dropping to $30.9 million from $40.3 million the previous year, as the company continues to sink money into its ongoing strategic initiatives. And those strategic initiatives have gone a long way toward softening the blow of a soft quarter. While new hardware and software sales "underperformed," in large part because of the lack of any "must-buy" releases [the top-selling games for the quarter were L.A. Noire, NCAA Football 12, inFAMOUS, Brink and Mortal Kombat], preowned sales climbed 12 percent and digital sales were up by a stunning 69 percent. That was enough for a 31.2 percent gross margin, the company's highest in five years. Preowned sales have always been important to GameStop's bottom line but the ability to compete in the digital marketplace is what will prevent [or not] the company from becoming another Blockbuster. Based on the huge increase in digital sales for this quarter, not to mention the comparable year-over-year increase for the entire 2010 fiscal year, it would seem that GameStop is doing a pretty good job of lining itself up for the future.